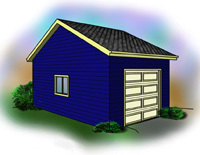 One car plans are small and compact, very simple and inexpensive to build. 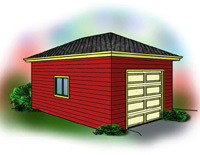 They feature shorter overall height and can fit in tighter spaces then a larger garage. They require less materials and labor to construct therefore are a good option when your budget is tight.